Cisco IOS event details can be send to an external system via “syslog”. 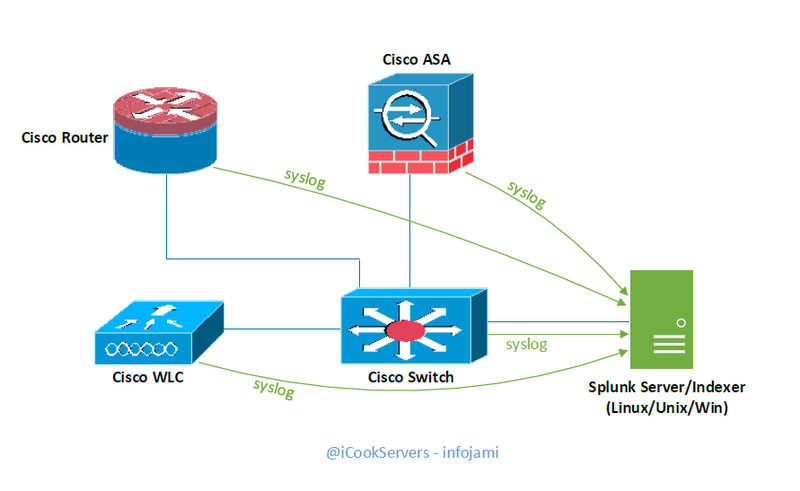 Splunk server itself and Splunk Universal Forwarder both can act as a syslog server to accept logs from Cisco IOS devices. 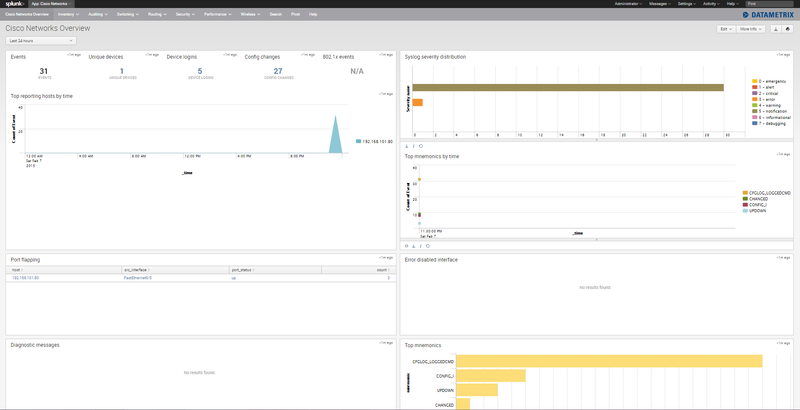 To add more cream to Splunk log consolidation solution for Cisco IOS devices – there are few Splunk plugins already available on Splunk App store! These plugins display IOS events on nice colorful dashboards with graphs & charts. Let’s talk about how we can get this solution in place. There are multiple ways to ways to do this. Adding new listener & sourcetype to “inputs.conf” works for both universal forwarder and Splunk server running on any platform. Restart “splunk” service or “SplunkUniversalForwarder” service to get this change take effect. If you add “sourcetype = syslog” – this will also work. The “Cisco Network Add-on (TA_cisco-ios)” transforms Cisco syslog to “cisco:ios” sourcetype automatically. Installation is very straight forward – just click on the icon to install it. 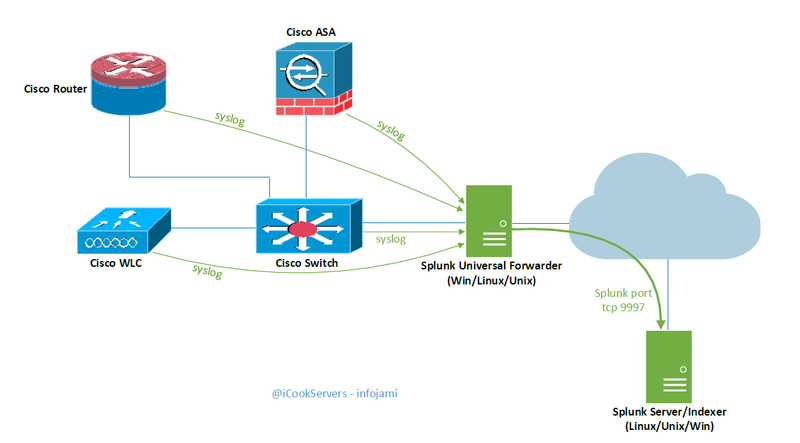 If you still not seeing any logs on the Dashboard of Cisco Networks – this might be incorrect “sourcetype” issue and “TA-cisco_ios” is not doing the source type transformation – in this case change your source type to “cisco:ios” manually or you can log a support case with Splunk support to get the TA-cisco_ios fixed for you. There are lot more you can find here on this dashboard – explore it. Cisco recently released Aironet 1700 series access points which support high speed WiFi IEEE 802.11ac. One of the key specifications of this 1700 series – they “only” work with Cisco Unified Wireless Network Software Release 8.0 or later. It’s now time to upgrade your WLC to version 8.x to get this work for you. Cisco AIP SSM are pluggable hardware modules for advanced intrusion prevention security services (IDS/IPS) to Cisco ASA 5500 series firewalls. Although lots of AIP-SSM configuration parameters can be set via ASDM > IDM (Cisco IPS Device Manager) or via CLI – however there is no such thing on IDM or CLI to send security events or security reports via email. So, how do I know > what is happening on the IDS/IPS? Is the IPS device capable of detecting threats? Is IPS is blocking attacker IP address? The answer is – there is a separate piece of software called Cisco IPS Manager Express (IME) to manage, configure and send email alert notifications for AIP-SSM modules. This software needs to be installed on a Windows machine. As of today the latest version is 7.2.7. Supported windows platforms are – Windows Vista Business+/XP Pro/Windows 8+/Windows 2003 R2/Windows 2008 and above. Apart from all ASA AIP-SSM modules; this IME software does support following Cisco IPS hardware platforms – 4240, 4255, 4260, 4270-20, 4345, 4360, 4510 and 4520. Installation is very straight forward; start the installation > follow next, next and finish. Once IME installation is finished; add all of your AIP-SSMs or IPS devices to IME console via IP address. Make sure IME Windows machine is able to communicate to AIP-SSM or IPS device’s management interface IP address. 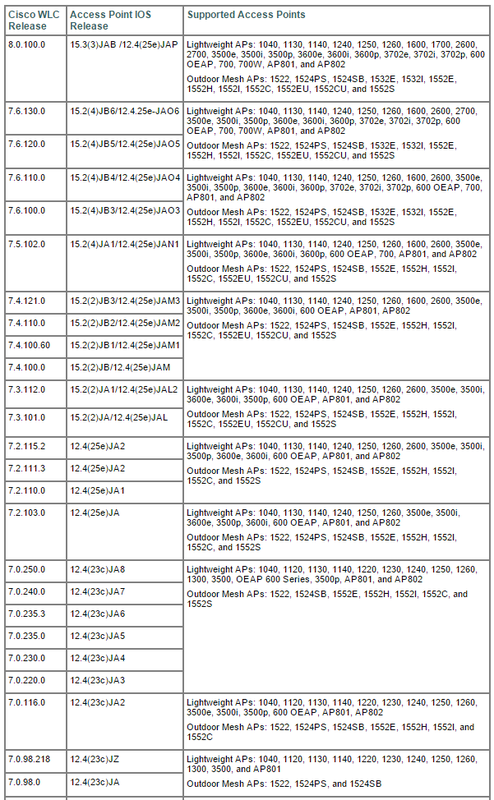 You can have bunch of IPS devices under one IME. You should send test email to confirm – IME is OK sending email. i. You have done configuration of all the email notification parameters, do you need to keep IME running on desktop? Should you close the IME console and logoff? Answer: Yes – you close IME console and logoff from the Windows computer; IME is still running on the background as a Windows service. ii. 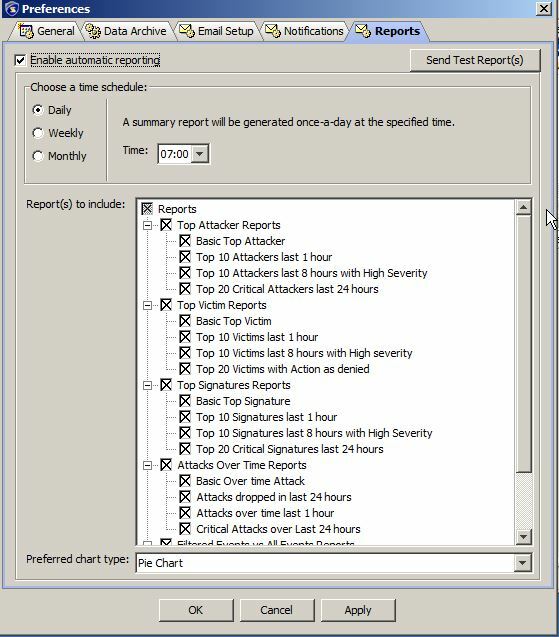 You have added 4 IPS devices on your IME – is email alert notification working on ALL of them? Answer: Yes – email notification is a global setting within IME that applied to ALL IPS devices those been added to the console. 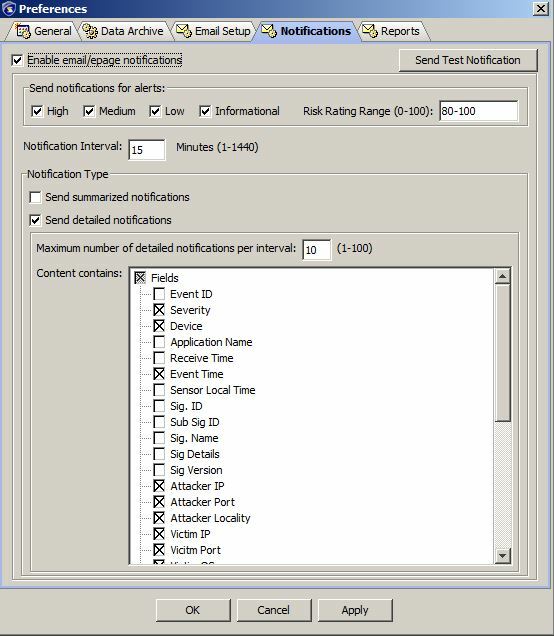 There is no option here to configure email notifications on individual IPS device within the same IME console. I have described memory monitoring and alert notification gauge on the previous article (Part 1) – let’s do the configuration. There are so many ways to monitor and get alert notification of VMWare ESXi host memory usage status – most of well-known monitoring solutions come with VMware monitoring plugins pre-installed. vCenter server can also send alerts based on given conditions as well. iii. Install the required Perl modules. Accept the license agreement and install with default settings. If the installation detect missing or old Perl modules – install them; easiest way is install them via CPAN. Download this from the above mentioned web sites. Copy the “chech_vmware_esx.pl” script to Nagios libexec directory “/usr/local/nagios/libexec/”; make sure it is owned by “nagios” user/group with executable permission. Again if the script execution complain about missing Perl module – install them via CPAN. You should use a “session lock file” to minimize auth log entries on vCenter or ESXi host; every time nagios execute service check with this script – this will create auth log entries in vCenter/ESXi host – it’s huge! The default script will ask you to create session lock file in “/var/nagios_plugin_cache/” directory – create this directory and make sure it is owned by Nagios. You need to create an user account for this nagios script on your vCenter or on ESXi hosts you want to monitor. You should use “authfile”; this file contains Nagios monitoring user account/password created on vCenter or ESXi host. At this stage the script should be ready to execute! If not – it must be missing Perl modules :(. This script is capable of monitoring lots of other vCenter objects such as cpu, network, datastore, virtual machines etc. Follow standard Nagios guidelines to create your check commands and service checks. Recently I come across Ruby for the first time while installing few cloud-based network monitoring applications on Windows Servers; these are Ruby applications called Ruby “gem”. After finished installation and configuration – I found I am able to run the Ruby gem without any problem on the command line (very easy – open CMD > go to Ruby bin directory > execute >application_name run). But if I close CMD – the application immediately stop working. I need this application running as Windows Service. i. the Ruby way – there are couple of Ruby utilities & gems already available; one of them is called “win32-services”. ii. the Windows way – by using the OLD “sc.exe” & “SrvAny.exe”; this works OK on Windows 2008 & Windows 2012. This is the easiest one! I am no Ruby expert – I will describe here how to create Ruby windows service using SC & SrvAny. i. Get the “SrvAny.exe” and place it in a directory; this can be even inside Ruby directory “C:\Ruby21\mywinservice\srvany.exe”. You might need to stop or disable “Interactive Services Detection” on Windows 2008; by default this is not enabled on Windows 2012. Just few years ago if there was a requirement of connecting to destinations with same IP networks address or for a low-level network segregation – the solution was to get separate network devices. These days the same can be done on a single hardware platform using VRF (VRF-lite). That’s why I have started implementing VRF-lite on all my new implementations! Why “all” – because if there any new requirements comes into the picture I still can use the same device; no need to reconfigure the existing platform or buy new devices. So far I experienced – Cisco IOS does support all IP features with VRF-lite; such as static routing, dynamic routing, BGP, site-to-site vpn, nat and packet filtering firewall. 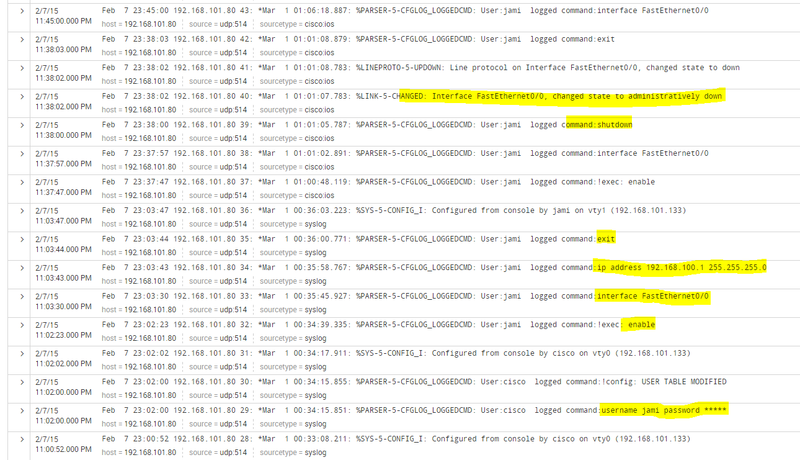 On HP Comware5 platform (A-Series, 5xxx) – VRF-lite doesn’t support Layer-3 packet filtering – other than this they support most of IP services. 1. Remote peer & keys – remote peer is reachable via which VRF domain; instead of global “key” we need to configure “keyring” with specific vrf domain name here. 5. NAT – internal source address belongs to which VRF domain; we need to specify vrf domain name in the NAT rules. 6. Although “access-list” contain of IP addresses – no VRF name need to be specify here. No pre-shared key with 10.x.x.x! Encryption algorithm offered does not match policy! phase 1 SA policy not acceptable! Will also setup Nagios check plugin to monitor the above with performance data for graph (Part 2). 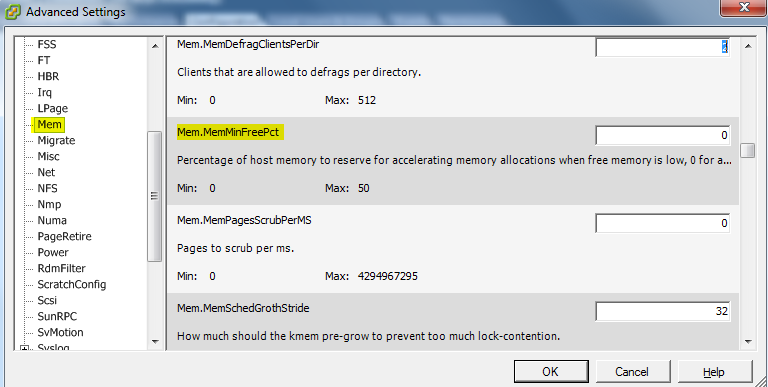 Before moving forward; let’s have a look into Mem.MinFreePct function. This function manage how much host memory should be kept free and when the hypervisor should kick-off advanced memory reclamation techniques such as ballooning, compression, swapping. High At this state “Transparent Page Sharing” is will be always running. This is default behaviour. Good – this is normal This is defined by Mem.MinFreePct function. Don’t disable TPS – not recommended. Soft At this state host will activate memory ballooning. Not good enough This is 64% of Mem.MinFreePct. This means physical memory near to max out. If host unable to go back to previous state itself – take necessary action to free up more mem. Hard At this state host will start doing memory compression and hypervisor level swapping. Bad – memory under stress This is 32% of Mem.MinFreePct. Need to free up memory by migrating VMs to other hosts or upgrade memory. Low At this state host will no more serve any page to VMs. Very Bad – fix it ASAP This is 16% of Mem.MinFreePct. This protects host VMkernel layer from Purple Screen of Death. Prior to ESXi-5.x this (high state) was set to 6% by default – this means host system will always keep 6% of total physical memory free before activate advanced memory reclamation technique; let’s say an ESXi-4.x host with 64GB memory will be required at least 3.84GB free to be in the High state (normal). Starting from ESXi-5.x this calculation is no more 6% by default – because high memory servers (512GB/768GB) are becoming common these days; 6% of 512GB is 30.72GB its huge free memory. v. Total is 1925.12MB (245.76+327.68+327.68+1024). Also at “Hard” state – memory performance measurement counter “Swap used” will be greater than 0. This condition also should trigger alarm.